Do you eat enough Fruits & Veggies? 5-9 servings a day is what the USDA recommends. If you're like the rest of us...you probably don't. Whole Food Supplements are a great way to fill in the gaps (Whole Food so your body will recognize it) plus you are getting a mixture of Phytonutrients like Resveratrol, Fiber, Vitamins and Minerals that's found in the fresh fruit. 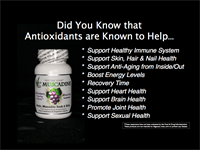 The natural phytochemicals found in Muscadine Seeds & Skins naturally work together, synergistically giving you a broader spectrum of health benefits. 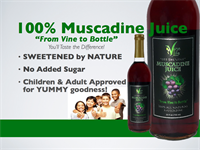 Powerful because it's made Simply from Muscadine Seeds & Skins for Holistic, Whole Superfruit benefits. Muscadines for our products are harvested Fresh every Fall at a family owned Vineyard right here in North Carolina.